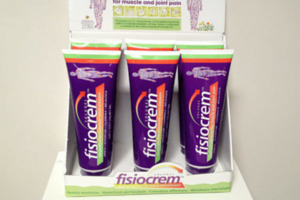 Fisiocrem SOLUGEL uses natural active ingredients to provide relief for common muscle, joint, and back pains resulting from everyday life and sports injuries. Fisiocrem SOLUGEL contains natural plant extracts, and does NOT contain hydroxybenzoates or parabens. It is suitable for use before or after the application of ice or heat, and can be applied prior to support bandaging. Fisiocrem SOLUGEL is clean, easy to use and has a pleasant natural fragrance. Arnica Montana; when applied topically may assist in treating soft tissue injuries, sprains and muscular aches and pains. Hypericum Perforatum; Commonly known as St John’s Wort, the oily extracts are bright red in colour from the active components, hypericin and hyperforin. St John’s Wort may provide temporary relief of the pain of sciatica and whiplash. Calendula Officinalis; Calendula may assist in the management of solf tissue trauma. Melaleuca Oil; Australian Tea Tree oil. Well known in Australian folklore to assist in pain management. Available at the clinic and to order.